to bear substantial weight. 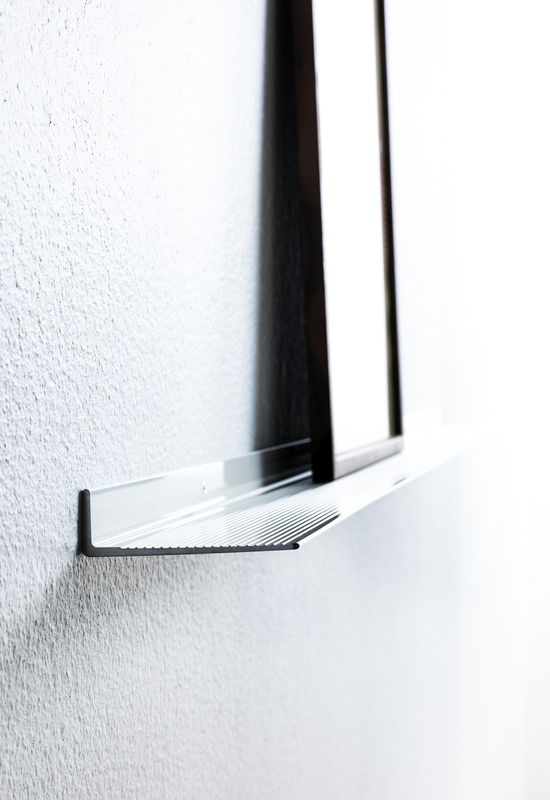 The extruded aluminium profile is made in Sweden and is entirely recyclable. 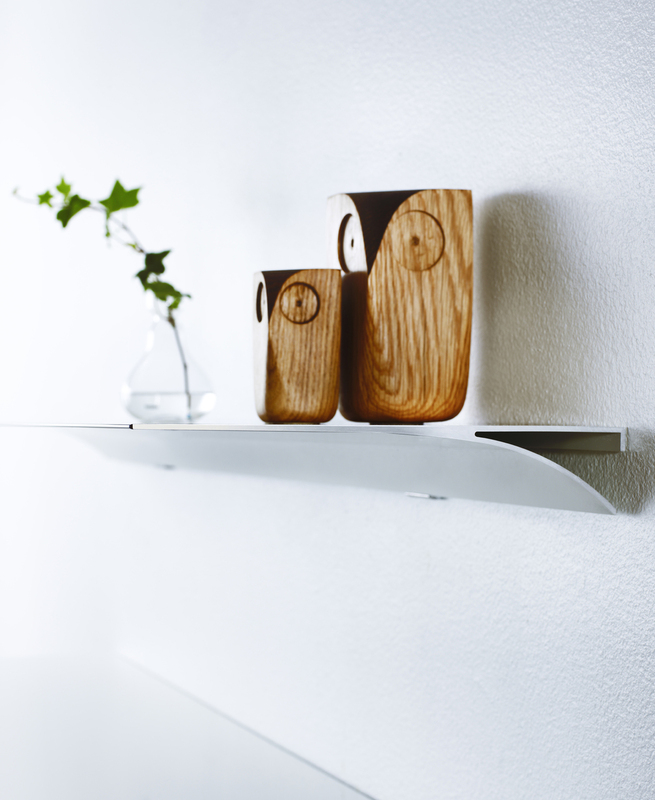 It boasts a sleek design,with the front edge of the shelf measuring a mere 2,5 mm. 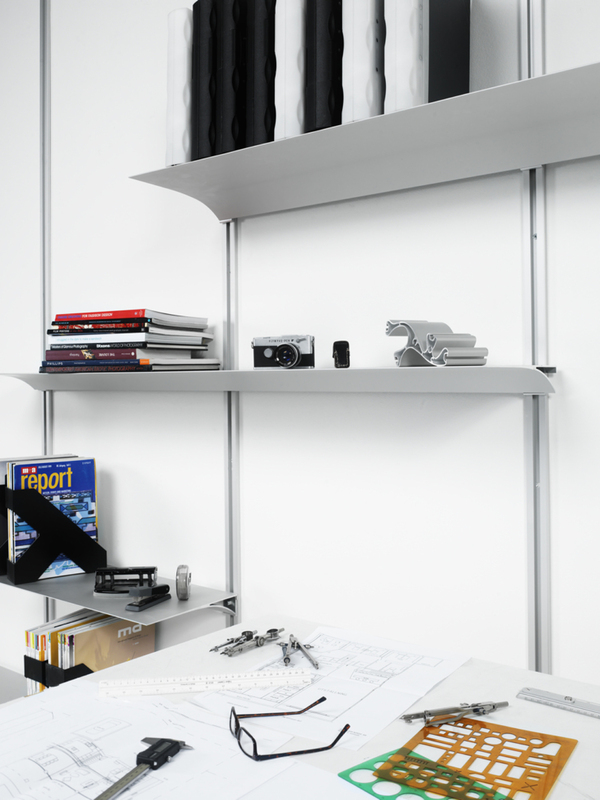 Exilis shelves can be mounted directly on the wall with hidden brackets or on rails in wall mounted, free-standing or compressed systems. Available in several different designs, lengths and colours as standard, it can also easily be customized to suit special needs. Exilis is designed by We Do and developed by Nonuform in Sweden. Elementa is the sole distributor of Exilis in Norway. Download the H1 pricelist for further technical information and pricing. 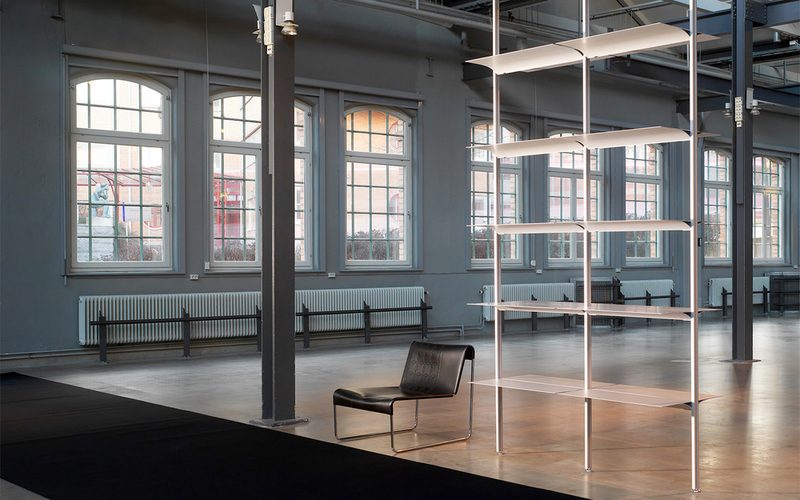 Black, white and natural alumnium.